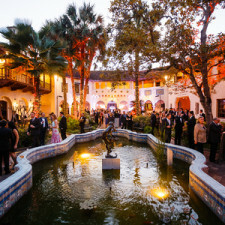 The wedding day proves magnificent, and guests enjoy a series of post-wedding celebrations that highlight San Antonio culture. Tucked away in the botanical courtyard under the setting sun, the bride and groom married at the McNay Art Museum. (If you missed part one of the experience, click here.) This Spanish colonial style mansion served as a stunning scenic backdrop for the couple’s heartfelt vows. 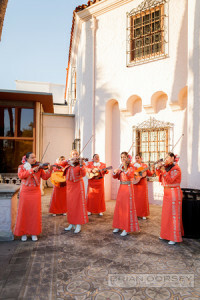 Dressed in beautiful coral trajes singing classical mariachi tunes, the all-female band, Las Alteñas, welcomed guests to the wedding. 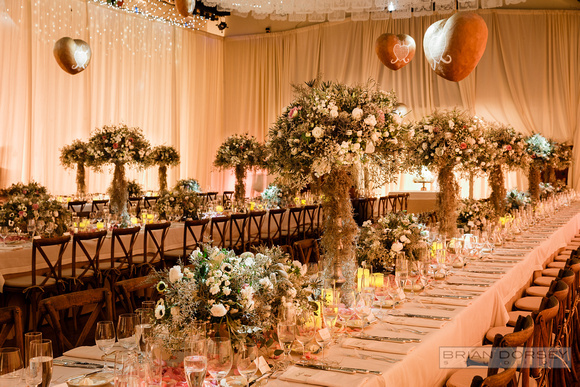 Enchanted florals and greenery surrounded guests who turned to the fountain where the bride would soon unveil. Slowly making her way down the aisle dusted with white rose petals, she was simply stunning in a breathtaking dress by Reem Acra. 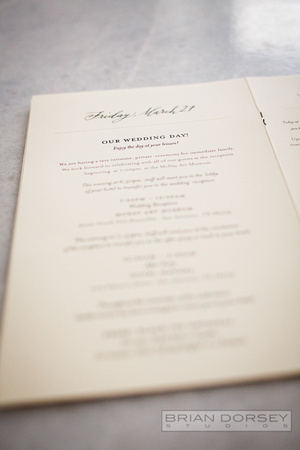 It was simplicity with a twist—traditional, but also fashion-forward. Everyone admired the bride & groom as they shared their fairytale first kiss as husband and wife. Invitees enjoyed an extended cocktail hour on the museum’s patio, sipping specially crafted cocktails including the “Perfect Pearl Manhattan” (a nod to their home in NYC) and “The Americas” while sampling delicate hors d’oeuvres that delighted pallets, including Cave Aged Blue Cheese Stuffed Medjools and Lobster stuffed Zucchini Blossoms. 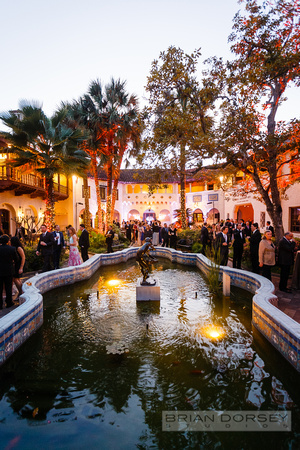 Some guests marveled over the Tequila bar tastings while others roamed the galleries that remained open exclusively to explore the renowned works of art. In the background, a bluegrass folk duet, Karen Mal, complemented the laughter and conversation amongst friends. 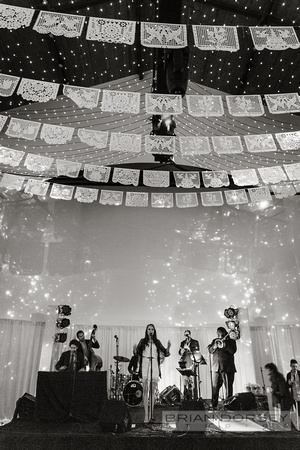 The mariachis led the procession inside to the museum’s auditorium which was transformed into a magical ballroom for the reception. 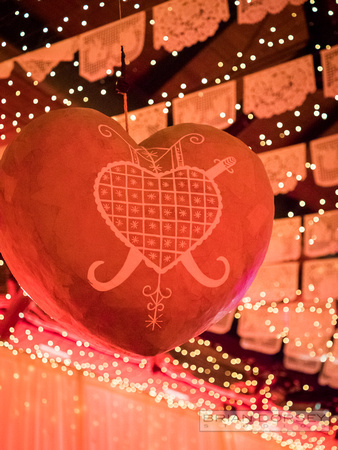 Thousands of white twinkle lights accompanied by white Papel Picados cascaded across the high vaulted ceiling where oversized papier-mâché hearts hung overhead. 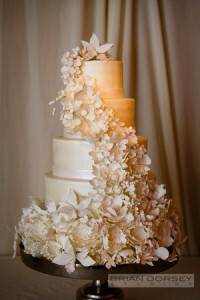 The warm lighting radiated off the walls draped in white chiffon. 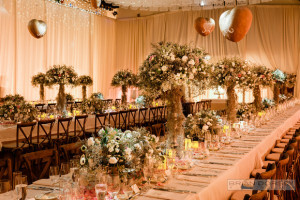 Three long tables ordained with enchanted succulents, floral arrangements, and candlelight lined the table, and hand calligraphy personalized place cards and menus invited guests to take their seats. Course after course, guests dined on a carefully curated menu with locally sourced ingredients including Burrata and Heirloom Tomato Salad flavored with local Texas Olive Oil, Blacked Iron Seared Red Fish, Filet of Grass Fed Beef Tenderloin, and Local Artisan Cheeses accompanied with Pickled Mustards Seeds, Berries and Figs. While the guests feasted, Scott Bradlee’s Postmodern Jukebox (pictured below) kicked the night off and energized the crowd on the dancefloor. Their reimagined vintage covers of modern pop songs left the audience wanting more. The upbeat Austin band, Sky Rocket! continued to keep everyone dancing with hit after hit. When it was time, guests congregated for the cake cutting. Hand in hand, the bride and groom sliced into the beautifully designed white buttercream four-tiered cake adorned with handmade sugar flowers. Time felt as if it had stopped in this moment, and each guest basked and shared in their joy. The celebration continued with an after party at Hotel Havana. 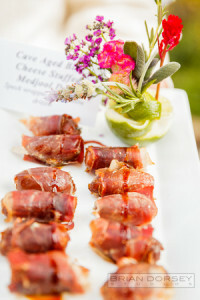 Chefs were stationed serving Cubano Sliders and Gorditas while chips & guacamole decorated the tables for late night snacking. Some guests made their way downstairs to sip cocktails at the intimate speakeasy bar, Havana Bar, while others visited the custom cigar bar and lounge that was created on the second floor terrace of the hotel. El Tiburon continued to keep the party alive with their festive Cuban tunes. At the end of the evening, guests returned to their hotels to find another specially designed bedside notecard from the bride and groom thanking them for attending their wedding, along with a red paperweight heart and instructions on the next day’s activities. The day after the wedding, guests gathered for an afternoon outing to the historic town of Gruene, Texas. It was a gorgeous sunny day and attendees enjoyed exploring the area, getting complimentary (courtesy of the bride & groom) photos taken at the old-time photo booth, and having lunch at the famous Gristmill River Restaurant & Bar before line dancing to live country music at Gruene Hall, which is Texas’ oldest dance hall. For the evening’s festivities, the newlyweds and all of their guests were invited to dinner followed by drinks and dancing at The Esquire Tavern, a beloved San Antonio watering hole since the end of prohibition in the 1930s. Guests sipped on Milk Punch and snacked on Fried Pickles, Deviled Eggs and Shrimp Toast before sitting down for more delicious Southern cuisine. 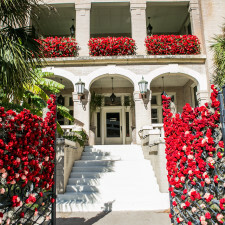 Again, guests were delighted to find a handwritten note with instructions on the next day’s activities and a sweet treat—delectable macaroons from a local bakery, Bakery Lorraine—waiting for them back at their rooms that night. The unique wedding experience concluded the following day with a casual farewell Sunday brunch at La Fonda on Main, which serves contemporary Mexican cuisine. Guests were surprised to find trolleys waiting to whisk them away to the restaurant, where they enjoyed a lovely meal as Las Alteñas, the all-female mariachis, serenaded them one last time before they began their journeys home. After the wedding, the bride sent us a thank you note that still hangs in our office. 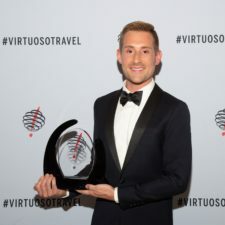 She writes that we made “the not-possible possible, repeatedly.” They, along with some of their guests, call it the “best weekend of their lives.” The bride and groom are incredibly thankful that they were able to relax and truly enjoy the “magical, memorable experience” that was their wedding. We feel grateful to have been a part of the festivities and wish our bride and groom a lifetime of love and happiness. You dream it, we create it. 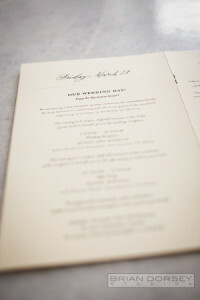 Would you like to learn more about our wedding planning services? Give us a call on 212.586.2020.